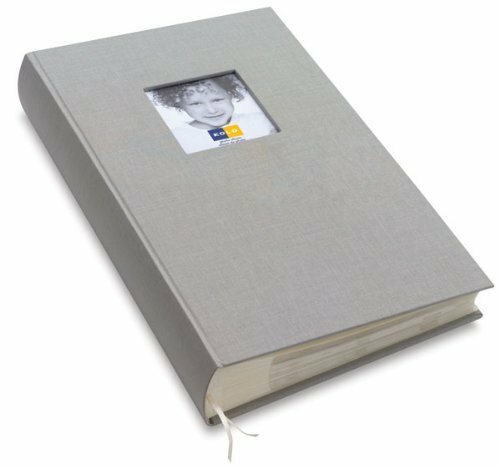 photo albums: The Hudson photo album is fashioned from 100 cotton cloth stained in a platinum-grey shade. Album safely holds 300 4"x6" landscape prints in 50 slip-in pages - three 3 pockets per page "3-up". A nice memo area is provided next to each photo for notes. Ribbon bookmark. Overall the album is 8½"x12½" and approx 2" deep. All pages are acid-free and archival quality. This is a gorgeous coffee table type presentation for your gallery or home photos. We can expertly personalize this piece for you in gold or silver leaf. See Personalize this item for more detail. Bound and crafted for SendAFrame by Kolo.To view the complete collection visit Kolo Albums. SendAFrame fully stocks factory fresh the entire Kolo line for your shopping convenience. If you have any questions about this product by Kolo LLC, contact us by completing and submitting the form below. If you are looking for a specif part number, please include it with your message.